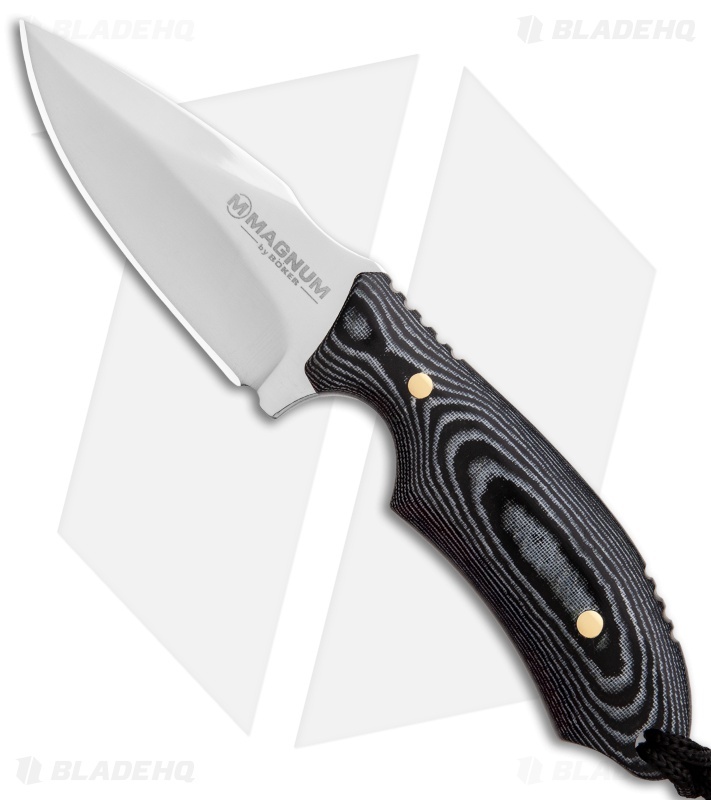 The Boker Racoon offers a tough and compact fixed blade design for outdoor use. 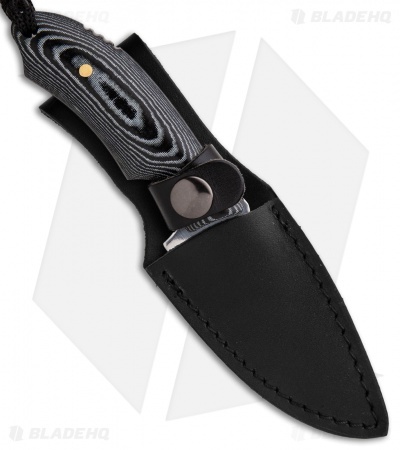 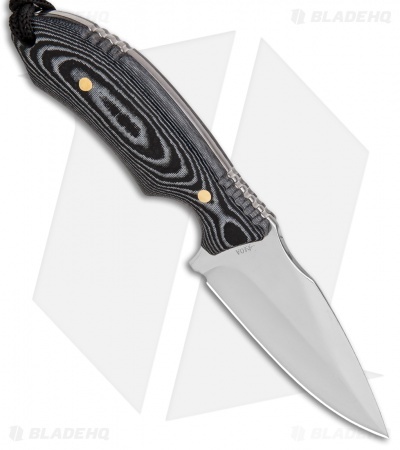 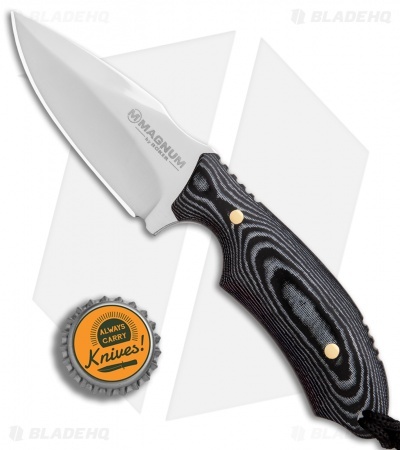 This model is built with a black micarta handle and a mirror polished blade. Item includes a leather sheath for belt carry. Contoured micarta handle scales provide an ergonomic grip. Item includes a leather sheath for secure belt carry. 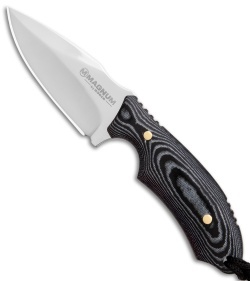 Full tang stainless steel blade offers impressive strength and durability.